If you have any questions about the LADY CATEE information page below please contact us. 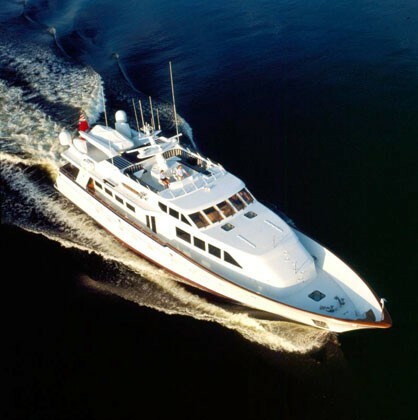 Burger Boat Company launched motor yacht LADY CATEE in 1997. The yacht can be categorised as having been built over in the United States. LADY CATEE had yacht design and naval architecture created by Don O'keeffe and Don O'keeffe. This superyacht LADY CATEE can sleep overnight a total of approximately 8 passengers all told aboard and 4 operating crew. 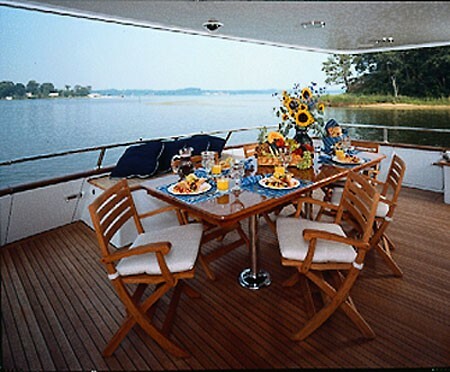 Launched in the year of 1997 this boat’s interior design exhibits the essence of owner and Burger Design Team /Robert Corrado/Owner. Don O'keeffe was the naval architecture company involved in the technical superyacht design work for LADY CATEE. Also the company Don O'keeffe expertly collaborated on this project. Interior designer Burger Design Team /Robert Corrado/Owner was charged with the internal interior ambience. Built at Burger Boats the yacht was fabricated in the recognised yachting country the United States. She was officially launched in Manitowoc Wi in 1997 before being transferred to the owner. A moderate feeling is achieved with a widest beam (width) of 6.71 m or 22 feet. With a 1.77m (5.8ft) draught (maximum depth) she is shallow. The material aluminium was used in the building of the hull of the motor yacht. Her superstructure over the hull is created from aluminium. 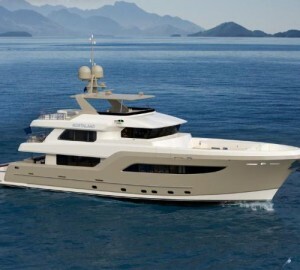 The 16V 92TA engine powering the yacht is made by DDC. For propulsion LADY CATEE has twin screw propellers. The engine of the yacht gives 1450 horse power (or 1081 kilowatts). She is fitted with 2 engines. The combined output for the yacht is thus 2900 HP or 2162 KW. Having bedding for a limit of 8 welcome guests spending the night, the LADY CATEE accommodates them in luxury. Normally the vessel utilises circa 4 proficient crew to manage. Main Engine(s) is two 1450 HP or 1081 Kilowatts Ddc. The Model type is 16V 92TA diesel. Her top Speed is around 23 nautical miles per hour. 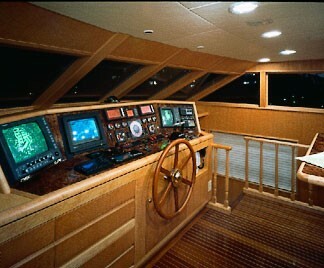 LADY CATEE features a aluminium-teak deck. 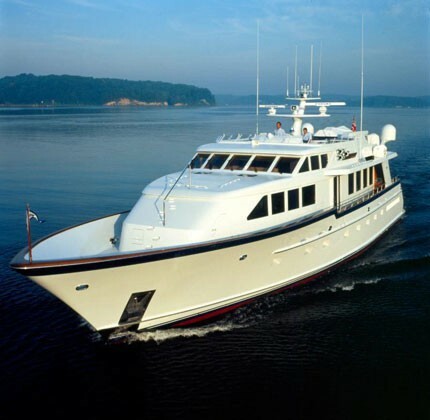 The luxury yacht LADY CATEE displayed on this page is merely informational and she is not necessarily available for yacht charter or for sale, nor is she represented or marketed in anyway by CharterWorld. This web page and the superyacht information contained herein is not contractual. All yacht specifications and informations are displayed in good faith but CharterWorld does not warrant or assume any legal liability or responsibility for the current accuracy, completeness, validity, or usefulness of any superyacht information and/or images displayed. All boat information is subject to change without prior notice and may not be current.